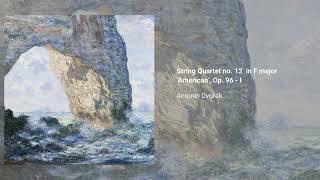 The String Quartet no. 12 'American', Op. 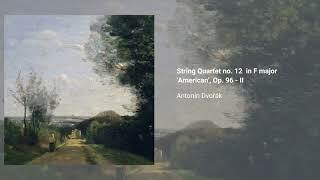 96 in F, was written by Dvořák in 1893 during his time in the USA. As with his Symphony no. 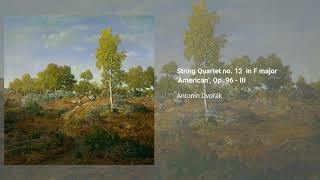 9 and other works of the period, the composer himself gave credit in the composition to his time in American lands, stating that the blend of cultures had coloured his music in a particular way. A number of critics, however, fail to see american influences in this period's pieces, aside perhaps from the use of pentatonic scales. 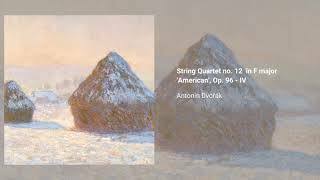 Whatever the case, this moment in Dvorak's career did influence American composers, who turned to the string quartet genre.